The most common of back pain is classed as ‘simple’ non-specific mechanical back pain and this usually clears up in around 4-6 weeks. There are definitely ways to help speed this along as well as some unhelpful things that can slow down and hinder recovery. It can be frustrating for patients when their symptoms do not improve so it’s crucial to find out how acute phases of pain are managed. If not managed well, the back pain can struggle to settle down and patients can move in to more persistent stages of pain. Wrong level of activity – Trying to get out of bed or down to lace your shoes can be mission impossible when you have acute back pain but the old method of taking off your front door and lying on it completely still for 1-2 weeks has been put to bed . So patients are often torn between the ‘keep moving’ and the ‘you should rest up’ advice. So how much is too much or too little? Our spines do like to move so it is always best to keep moving within your pain levels. Non weight bearing range of movement exercises (I.e. those completed whilst lying down) can help you do this without causing your pain to increase. Depending on your work activities and hobbies you may need to tailor down the amount you are doing for a couple of weeks until your pain allows you to return to normal activity. When in this stage, returning to normal activities should be paced so that your back can gradually get used to the physical demands you want to place on it. Generally speaking, remaining at work is best for recovery and prognosis so it may be worth speaking to your manager to see if your work activities or hours can be temporarily changed to help support you to stay and / or return to work. Not taking a holistic approach to understanding pain – The human body is a complex thing and when understanding pain it is vital that not just physical contributing factors are addressed. The biopsychosocial approach to managing pain is well researched and used now by most physiotherapists. This means not only looking at the physical sources of pain but also the social and psychological factors which can drive and amplify pain. The most common psychological factors we see when working with back pain is low mood and anxiety. Sometimes this is an old or pre-existing concern for the patient, or a new thing that has developed after the back pain started. Either way, it is super important to recognise the influence that these can have on the way we feel pain to help us treat all factors involved. Many of my patients have progressed extremely well once these areas are addressed and treatment underway. Lack of diagnosis and fear of the unknown – A large proportion of back pain is classified as this non-specific mechanical back pain which means that no definitive diagnosis is attached to the pain you are experiencing. This classification of back pain is described as a ‘tension, soreness and/or stiffness in the lower back region for which it is not possible to identify a specific cause of the pain. Several structures in the back, including the joints, discs and connective tissues, may contribute to symptoms’ (NICE Guidelines 2009). Many patients I see feel they would benefit from investigations such as x-rays and MRI scans however these are often not indicated and have actually been shown to negatively affect overall prognosis in some patients. 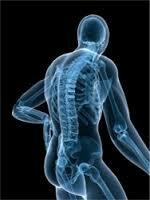 The decision to investigate back pain further needs to be carefully discussed with your physiotherapist. So you have been avoiding all these common mistakes but you continue to feel like you have a knife twisting in your back? If you haven’t already sought the advice and treatment of a physiotherapist, then now if definitely a time to get that ball rolling. There may be other reasons why the back pain is not settling down and this needs a full physical examination and treatment plan. Patients with non-specific back pain should be offered treatment plans focusing on self-management, exercise-based rehabilitation, manual therapy and / or acupuncture. If the patient is in the more persistent stages of pain, then treatments should focus on reducing pain and its impact on the patient’s day-to-day life, even if the pain cannot be cured completely. NB/ This blog article only discusses non-specific back pain so if you are experiencing other types of back pain then please discuss with your GP or physiotherapist. If you experience any red flags associated with back pain (i.e. trouble controlling your bladder or bowel movements, numbness in the groin area, foot drop symptoms in both legs) then please seek urgent medical attention.